AllStates Restoration provide the best dry cleaning restoration, fabric restoration solution and service experience. We will make sure our dry cleaning Specialists will help you! Have you ever had fire or water damage in your home or business? Do you wonder what happens to clothing, fabric or leather items after a the tragic event? Do you know that there is a special dry cleaning restoration company that does fabric restoration and is known for saving time and money for both you and your insurance company? and can help you with your insurance claim. AllStates Restoration Services is the most trusted dry cleaning restoration organization in the industry. We have a system for restoring clothing, laundry, dry cleaning, bedding, shoes, belts, pocketbooks, blinds, shades, drapes, handbags, leathers, furs, wedding gowns, suitcases, cushions, rugs, fabric couches and much more. We are experts at removing stains and reversing the damaging effects of fire, water, soot, smoke, mold, mildew and odor. 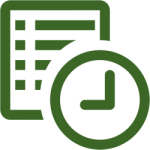 For the Insurance Company – We provides significant restoration services at a cost that’s far less than having the item replaced. 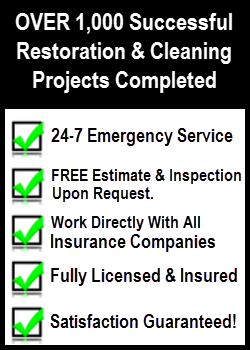 For Restoration Contractors – Our response time and state-of-the-art operation eases the restoration of clothing, window coverings, bedding, linens and other household textiles. For the Home or Business Owner – We can clean and restore your wardrobes to pre-loss conditions and provide expert advice and guarantee 24 hour emergency services.